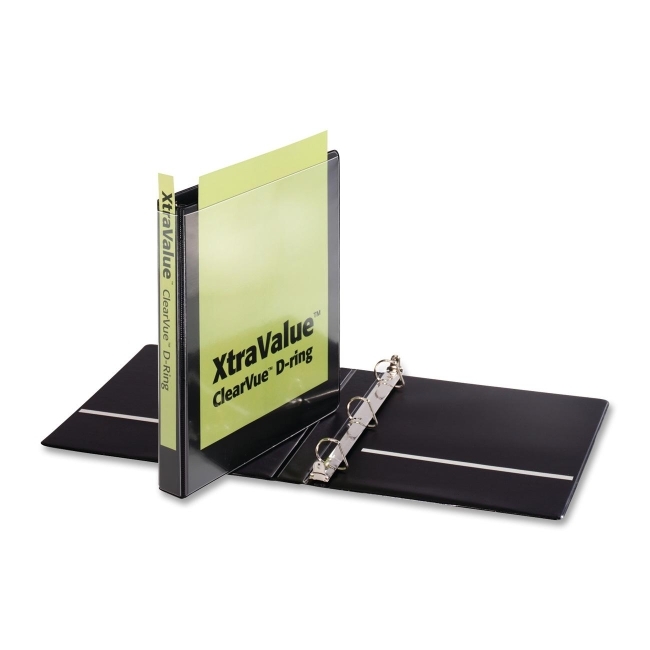 Cardinal XtraValue ClearVue Presentation Binder - Letter - 8.5" x 11"
XtraValue ClearVue Binder contain clear overlays on front, back and spine allows insertion of custom title sheets. Binder comes with horizontal pockets inside front and back and XtraLife hinge provides added strength. Slant-D locking rings with GelTab triggers hold more, stay aligned, won't accidentally open and spill.